At the core of what I like to call 'the paradox of the single master data view' is just this; In certain cases, the product or service you deliver to a consumer may change its characteristics when in use. How might you describe a product that changes its physical and operational characteristics depending on where it is being used, how, and by whom? Many of today’s products and services already enable a high degree of personalisation. Options allow a customer to choose a configuration most suited to a particular purpose. Additional capability can be requested even while the product is being used or consumed via embedded instrumentation, e.g. with IoT. Finally, any number of added value services can be proposed to complement. 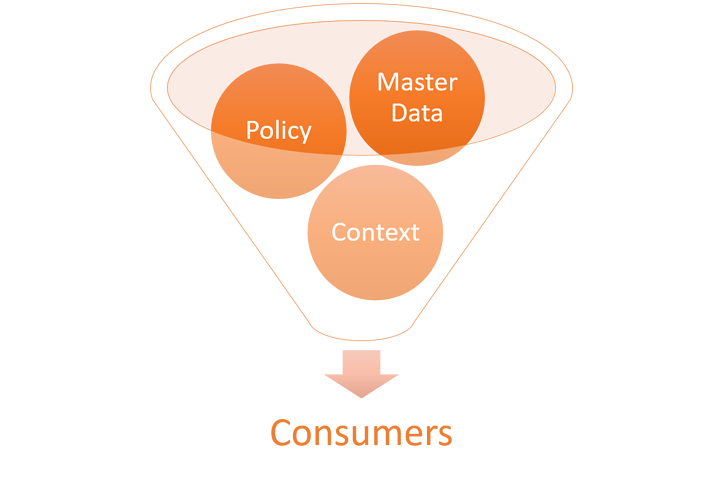 If master data is to be described as a unique set of defining characteristics, it may have to take into account additional factors that are only known at the point of information consumption. You might for example only know the appropriate size, materials, configuration and price etc. of a garage door installation once an expert has assessed the environment into which it is to be deployed. If a vehicle being sold has the ability to be re-configured remotely, then you can only really describe what the customer-to-product master data relationship is from an operational standpoint as these relationships are potentially under constant change. Also, for many organisations, the development of customer centric products and services translates literally into unique value proposition for specific customers. For example, in retail banking, tailoring products and services to customer requirements means that the final product configuration, terms and price can only be known in conjunction with the customer information. The shortcoming of some MDM projects is that they do not anticipate that the master data, required to support some real-world scenarios, changes. It changes according to the context in which it is being consumed. The lack of planning for this contextual information change can lead to the “single view” becoming “someone’s view, but not mine”. The consequence of this, is that we might have created yet another silo of information in the organisation; the exact opposite of what we set out to achieve in the first place. Two important concepts might help us here. The first is that we could re-think how we go about setting information policy, i.e. the rules by which we are going to implement governance of particular sets of data, e.g. customer data. Allowing for more than one information policy against any particular data type enables you to add the notion of information context. For example, the context of consuming customer data for a financial department representing an entire enterprise is not the same as that for the marketing department for a regional line of business. In such a case, many of the defining master data characteristics of a customer could be totally different, including name, location, and contract information. The applicable information policy is only known at the point of information consumption, i.e. the context in which it is being consumed. The second concept is to consider how to derive coherent master data from a dynamic set of contextual parameters. This requires that rules might describe which policies can be executed under which conditions. For example, the applicable set of products and services to be presented to a specific driver to better configure his specific skills and his vehicle for the current weather, road surface and location. The potential consequence of this approach is that the notion of a single, technical source of information might no longer be suitable for the support of all of these different operational conditions. What does, however, need to remain centralised, or at least centrally governed, are the rules that define the conditions under which the differing information policies should be executed. 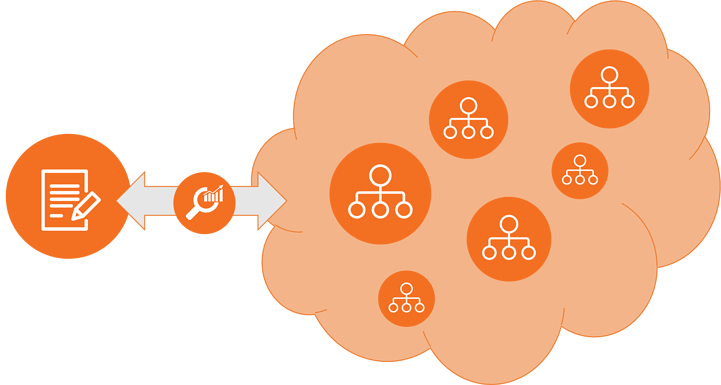 One can imagine a centralised source of master data policy making and multiple operational data sources with operational data serving different contexts all under a centralised guidance. The impact on master data approaches where a fixed, central data model is required of an MDM solution is apparent – it’s rigidity would be ill suited to a contextual MDM approach. In a world of a growing number of personalised products and services influenced by increasing numbers of contextual types of information, we might actually be trying to fight against the torrent of new and disparate information sources. Perhaps we should be cultivating these information sources instead? Growing them in a way that makes each fit for a purpose, embracing their diversity but managing the context of how they are consumed. Would you like to know how good (or bad) companies are at organising and locating data? This e-book gives you the newest insights into the state of Master Data Management. Benchmark your own business against the surveyed to find out if you are a MDM leader or lagger.